A spring and summer style essential. Some of the things you'd used to wear only to softball practice are now very much a deliberate part of the smart-casual trend, and chief among them are sneakers. But not just any sneaker. We’re talking about a one-hundred-year-old sneaker style that has cemented its place in even the the most dapper of adult men’s wardrobes: the gum sole sneaker. Why are they called “gum soles”? Are they really made out of gum? The gum sole is a natural rubber made from tapping the hevea brasiliensis tree (also known as “rubber trees”), sort of like tapping maple syrup. 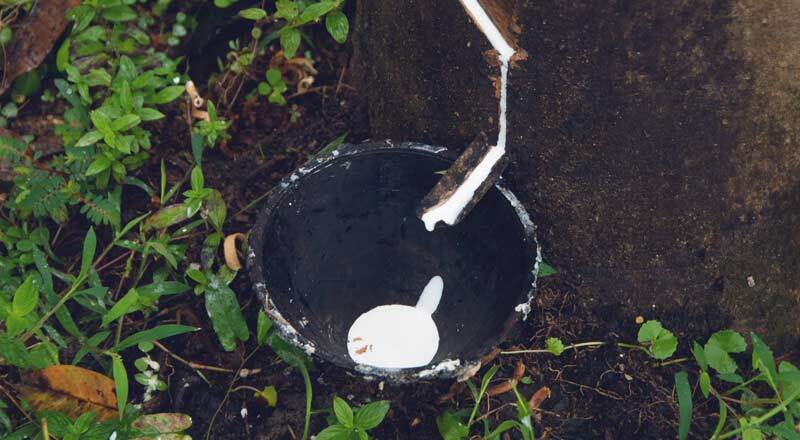 The milky white fluid from inside the tree is essentially a type of latex that gets heat-treated to break up most of its proteins and create rubber. Chewing gum was also originally made from latex sap, only from a different kind of tree (sapodilla). After the tree “blood” is treated, it becomes a bouncy, sticky, yet incredibly strong substance that’s naturally tan colored. It’s at this stage before any further processing that we get gum soles, also known as crepe soles. And this material is what you’ll find on your Clarks and classic gum sole sneakers. Gum soles are a natural alternative to the polyurethane soles of most modern sneakers. Not to mention, the neutral tan hue goes great with any color. So why don’t we see them as much? Well, the gum sole is heavier, so it’s not the most common choice for athletic footwear – but man, does it last forever! In fact, this kind of rubber is vulnerable only to oxidation… you know, that thing that slowly destroys nearly every material on earth (including you). But it would take eons and extended ozone exposure before your rubber soles would get affected, if at all – and no one can jump that high. But remember that due to rubber's sticky softness (what provides its superior traction), extensive friction will cause attrition to the rubber over time. But it would have to be some serious friction – so as long as you're not a racecar (or moonwalking every step you take), your gum soles should be good. 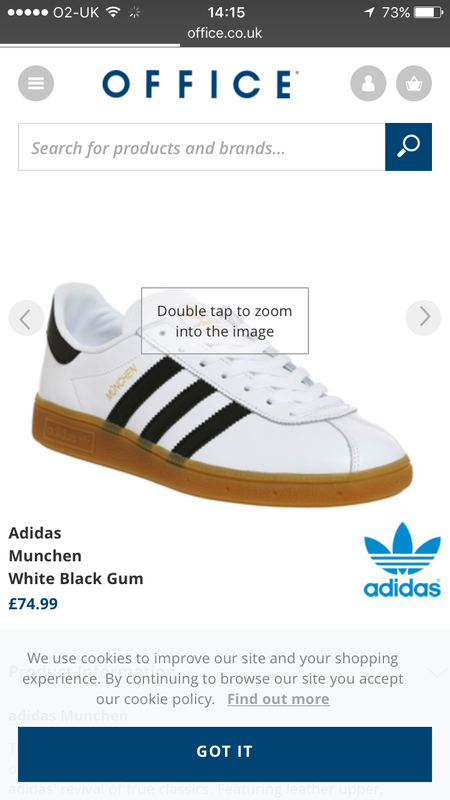 These days many sneakers labeled as “gum sole” actually use polybutadiene, a synthetic that is very close to natural isoprene rubber, which can also be commercially referred to as “gum sole”, as opposed to the label of “natural gum”. Back in the day, all shoe soles used to be made from leather, but the first sneaker as we know it (with rubber soles) didn't show up until 1917. Rubber had been around before then – they had been used for soles since the late 1890s. Those earlier rubber soled shoes were known as plimsolls, and it was around this time that nine small American rubber companies merged to become the U.S. Rubber Company. One of these small companies was the Goodyear Metallic Rubber Shoe Company. They were the first to manufacture shoes with a process called vulcanization, patented by Charles Goodyear himself. This is a process whereby rubber gets heated to permanently bond to cloths, canvas, or other rubber parts. Along with the vulcanized rubber sneaker innovation came a new breed of athletic shoe that featured the durable traction of a rubber sole. Forever fused onto the comfortable flexibility of a canvas upper. It was a huge boon, and U.S. Rubber made their shoes under 30 different brand names, so by 1916 they decided to consolidate all these brands under a single name – but what should they call it? “Peds” (from the Latin word for “foot”) was the initial choice, but that name was already taken. So, they went with “Keds”. 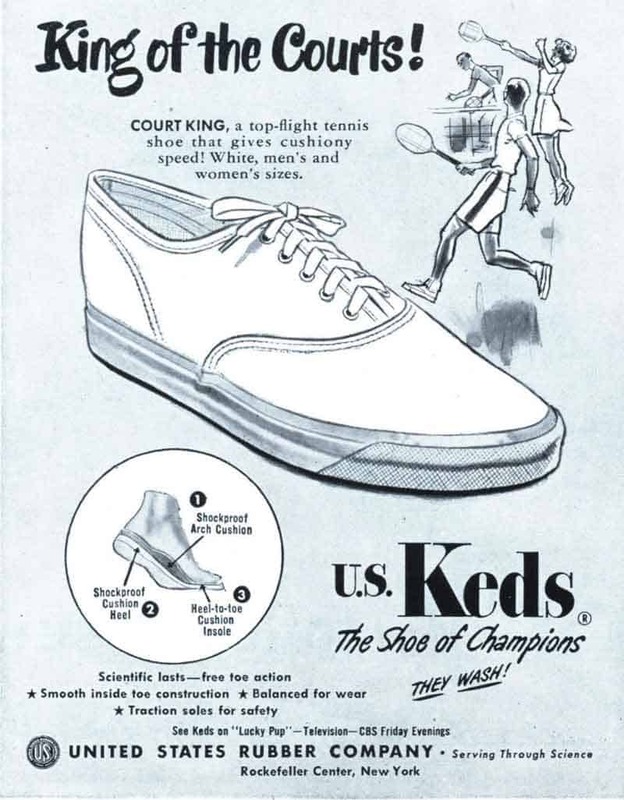 Shoe historians (yes, all three of them) agree that Keds were the first true sneakers, which means they were also the first to market canvas rubber soled “sneakers” to the masses. The word “sneakers” was coined by Henry Nelson McKinney, an ad man at N.W. Ayer & Son, to emphasize the stealthiness of rubber soles. And obviously, it caught on. The next significant innovation in rubber soles came after the 1970's, when we started getting industrial rubbers from Malaysia and Indonesia that were graded on a numerical system. Even higher grade than rubber that's strong enough for your tires is a kind called “Pale Crate”, which has very special applications. Among them is medical tubing, as well as – you guessed it – your fresh gum sole sneakers. Not all athletic shoes can pass for smart casual – save your flashy Air Jordans for the gym or the basketball court. We’re talking about sneakers than can work with smart casual outfits – or dressier – so when it comes to gum sole sneakers, choose a style that’s not too garish. 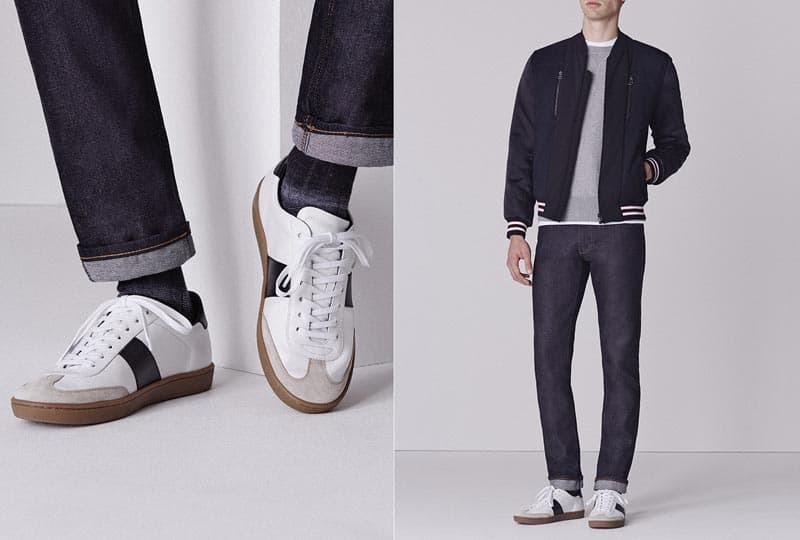 Pick shoes in white, gray, or navy so that you can match them with any color palette. Or, you can even bring out the tan of the gum sole with a more monochrome ensemble. Keeping your shoes simple is what allows you to stay versatile. The right pair of gum sole sneakers can look stylish and smart with shorts, jeans, or dress pants. Think of your gum sole sneakers as a trendier alternative to boat shoes: You can wear them anytime you'd previously worn your Sperry's. They’re great for spring and summer, especially in a clean white or off-white, which can give any outfit a bright pop and lends a crisp overall appearance to even the most casual clothes. Don’t be afraid to show some ankle – embrace low-top sneakers by wearing no-show socks (or no socks at all), even if you’re wearing long pants or jeans. Despite the fact that Adidas has been widely regarded as a “soccer” brand, the sneaker line of the former number one world tennis player Stan Smith is possibly their most iconic line. 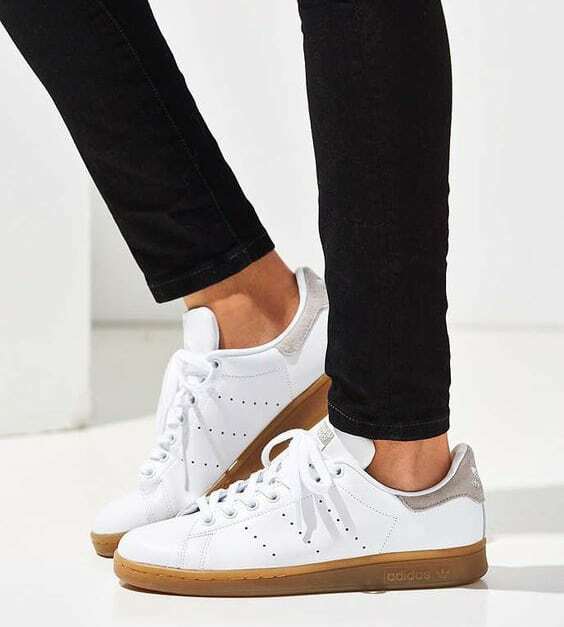 To add to the irony, Stan Smiths are not considered suitable for modern tennis playing – but as far as fashion is concerned, Stan Smiths are spot on. A durable combination of suede and canvas upper, the Vans Old Skool was their first shoe to bear the iconic curved stripe on the side. As a skate shoe, it features a padded tongue for extra comfort. And the gum sole version gives the shoe a more mature, classic touch. 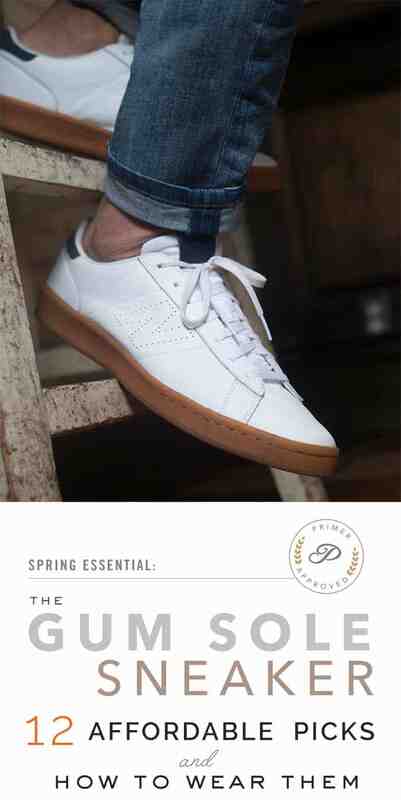 A J.Crew exclusive, no discussion of gum sole sneakers would be complete without mentioning this shoe. The Nike Killshot is a legend on internet forums like Reddit, where fans have created guides on how to wear it, and we're always keeping an eye out for their return. Used pairs have been known to go for hundreds on eBay! Luckily, J. Crew offers another exclusive from New Balance with a similar aesthetic. If you like the Nike Killshot but can’t get your hands on a pair, this is a great alternative with simple, classic styling. If you’re willing to try a newer shoe that's still elegant and versatile (especially if you’re a Nike die-hard), take a look at this attractive suede option from Nike SB, which comes in a special gum sole colorway. The Chuck II is the revision to the classic Chuck Taylor with the same shape and silhouette as the original – only pimped out with the high-tech Lunarlon sock cushioning of Nike Lunars. A great mix of old-school classic looks meets modern comfort. 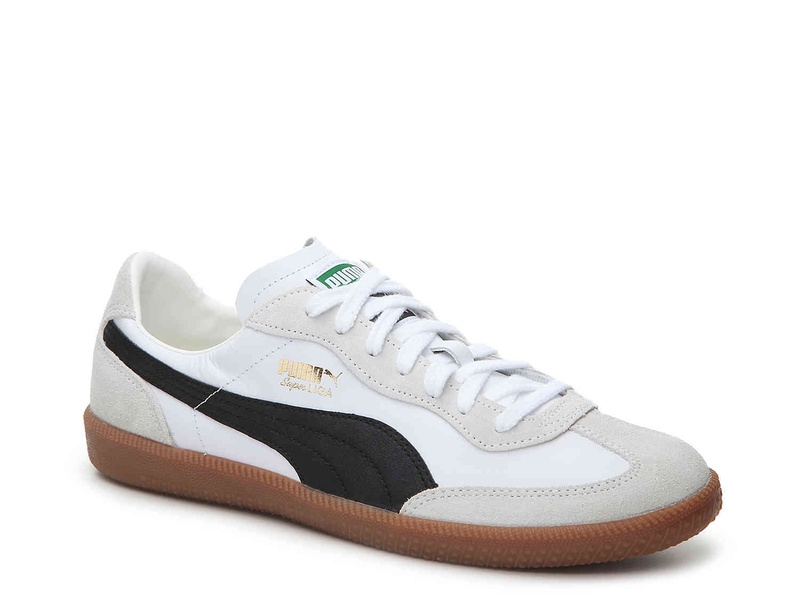 Did you know the guy who started Puma was the brother of the founder of Adidas? Not only that, Puma was started earlier. 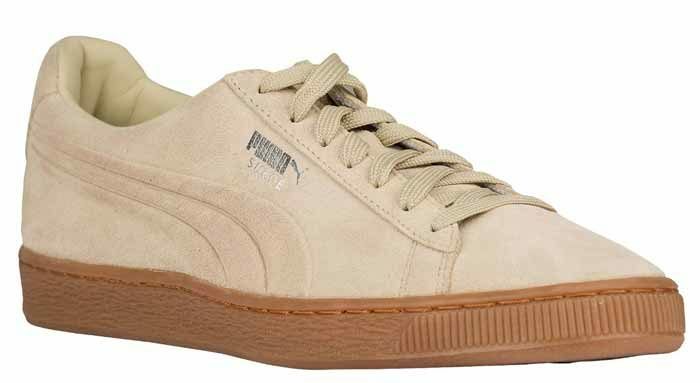 Whether or not you appreciate the heritage of a shoe like this, you can’t go wrong with the timeless simplicity of Puma Suedes. Veja is a French brand that focuses on ecological and fair trade footwear. 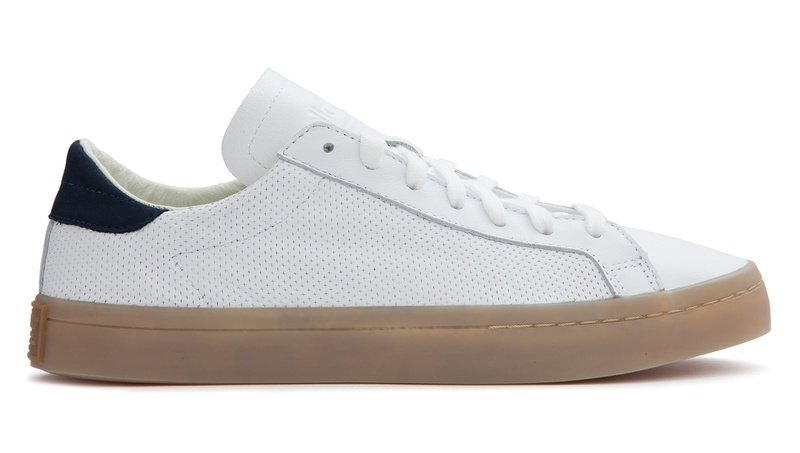 The low profile on these is similar to the designer Common Projects – but with a $300 savings. These captoes are reminscient of the original German army trainers that have a crazy fan base online. Founded in 1882 Le Coq Sportif is a French sporting goods company offering up a unique take with this gray suede colorway. The cheapest option on the list has a great profile, but the savings is made up in the materials: These are synthetic leather. 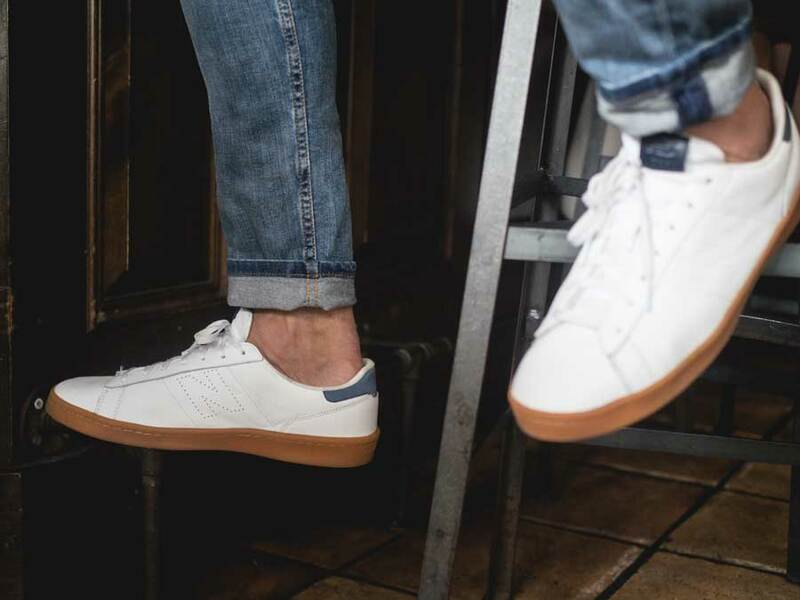 The Reebok Club C85 is a vintage reissue that you may remember from your dad's closet. Which are your favorite? Chat with us in the comments! In addition to being an avid Primer reader, Pyung Kim is a Los-Angeles based writer / filmmaker who firmly believes that clothes and fit make the man. The Killshot is a lot of hype over a mediocre shoe. Like most Nikes, they run pretty narrow. I have a wider foot, so they aren’t the most comfortable. Ah ok. Well to me, it just sounds like you have more of a gripe against the lack of wider shoe options from nike. The killshot isn’t mediocre because it happens to not fit you comfortably. Hopefully Nike takes things like this into consideration in the design process because customers such as yourself can’t enjoy their product fully and that results in a loss of revenue on their end as well as a black mark on their brand reputation. I really like the J Crew New Blasnce shoe. I’ve tried them on in the store but couldn’t get the correct fit. Having said that if I find the right size I’ll snap them up. I’m really liking the first look as well. 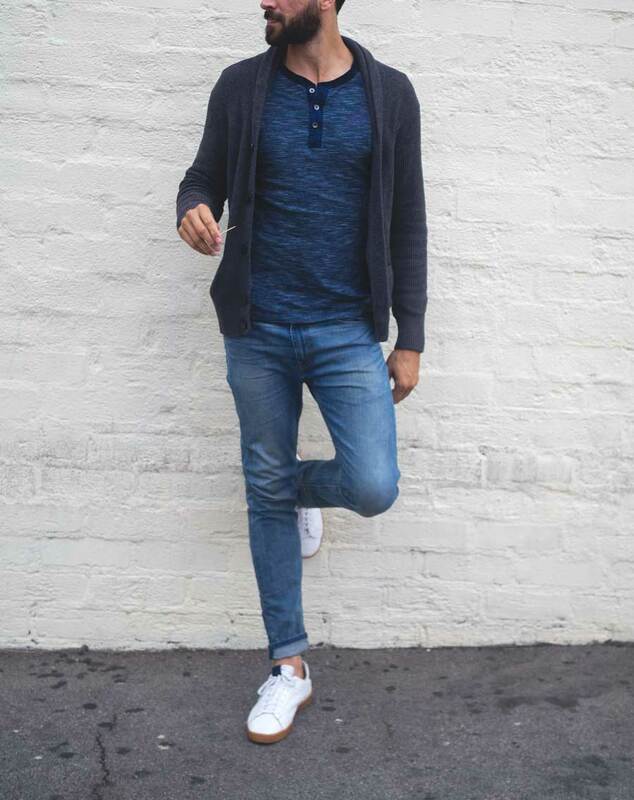 The henley with the shawl collar cardigan and dark denim. 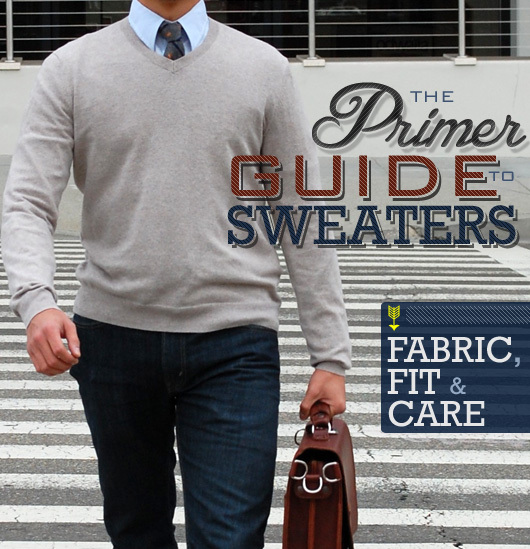 I’ve got all those components to make that look, as Gap just sold out of their space marl henley which is a perfect match. As well as a number of shawl collar cardigans. 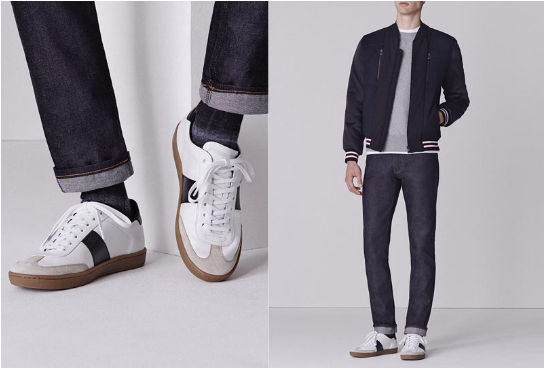 Andrew do you have a link for purchasing the shoes pictured two down (bomber jacket photo)? adidas Stan Smith for sure! Do you have a link to purchase this style? Very comfortable. Considering wearing them with a dark navy suit this weekend to a hip wedding reception. I found the quality of the adidas Busenitz Vulc Samba Edition Shoes to be much better then the killshots with very similar styling. Happy I went for them instead. I’ve been looking for that exact shoe but it’s sold out everywhere. I may just splurge for the J Crew new balance one instead. Nice shoe Epic. I like this one also. Where does the model shop? It seems like his clothing is always matched up with similar items bet never the original articles. 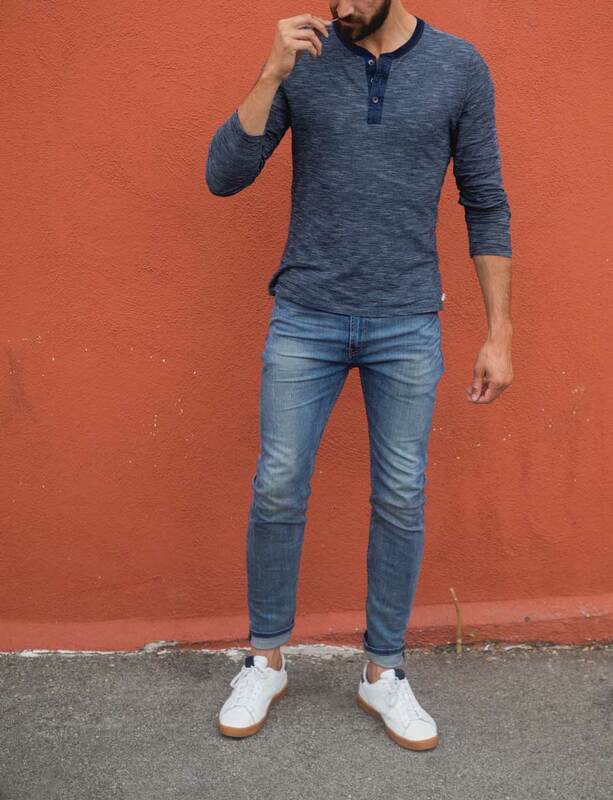 We get the clothes at similar stores that we feature, but the issue is with affordable stores specific items like that henley are only available for a brief time. We got that 4 weeks ago and now there’s only one size available at Gap, so that’s why we have to link to similar items regularly. It’s pretty frustrating. Hey Andrew, got it. Btw, you guys do a great job putting together these outfits. Thanks! Also, where’s the sweater from? I was able to find the shirt at a local gap in OC. They have one more M size FYI. A few months ago I hit the jackpot when my J-Crew store had a pair of Killshots in my size. They are one of the best footwear purchases I have made! Will a gum sole shoe work for a short guy? Like if the gum drags visual attention down to your feet. Guys stereotypically hate to shop – these innovative brands make it painless.